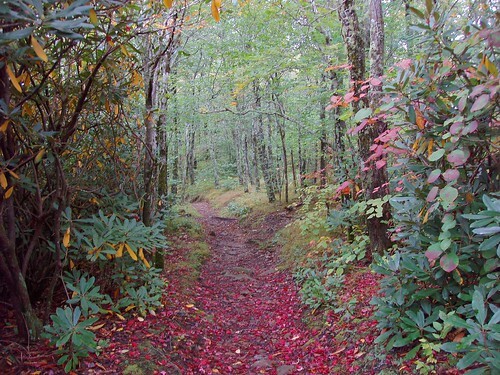 Along the Appalachian Trail on the ridge to Mt. 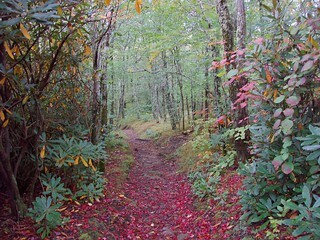 Cammerer, there was a touch of early maple tree color in the forest. It's a narrow ridge with views of the surrounding national park on both sides. See more at Internet Brothers Hiking Logs and Gallery.